Despite unanimous passage by the House of Representatives, the objections of a single U.S. senator prevented final Congressional approval of HR 1301, the so-called Amateur Radio Parity Act, which would have directed the FCC to draft rules requiring homeowners' associations to permit amateurs to put up some form of outdoor antenna. 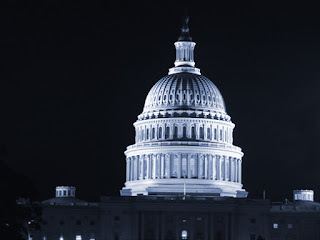 The bill passed the House after the ARRL and the Community Associations Institute (CAI), which represents homeowners' associations, agreed on revised language that allowed both groups to support the measure. In the Senate, however, the objections of one member – Sen. Bill Nelson of Florida – prevented the bill from coming to the floor for a vote before the 114th Congress ended in December. According to the ARRL Letter, Nelson considered the CAI's support as "irrelevant," and continued to oppose the bill despite multiple meetings with ARRL representatives and thousands of e-mails, letters and phone calls from constituents. (It is noteworthy that Florida has the nation's second-largest ham population and perhaps the greatest concentration of homeowner association-controlled communities as well.) The ARRL board of directors was planning to discuss its options for the bill at its January meeting. Oregon Representative Greg Walden, W7EQI, is the new chairman of the House Energy and Commerce Committee, one of the most powerful posts on Capitol Hill. As chairman of that committee's Subcommittee on Communications and Technology in the previous Congress, Walden was a strong supporter of HR 1301, the Amateur Radio Parity Act (see previous story) and helped guide it to unanimous passage in the House. According to the ARRL Letter, Walden's elevation to the full committee chairmanship may have been in recognition of his success in protecting the Republican Party's House majority in the last election as chairman of the National Republican Congressional Committee. 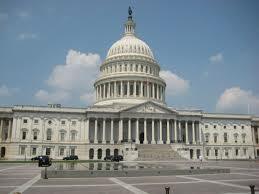 He defeated two more senior members in a closed-door vote by the House GOP Steering Committee. 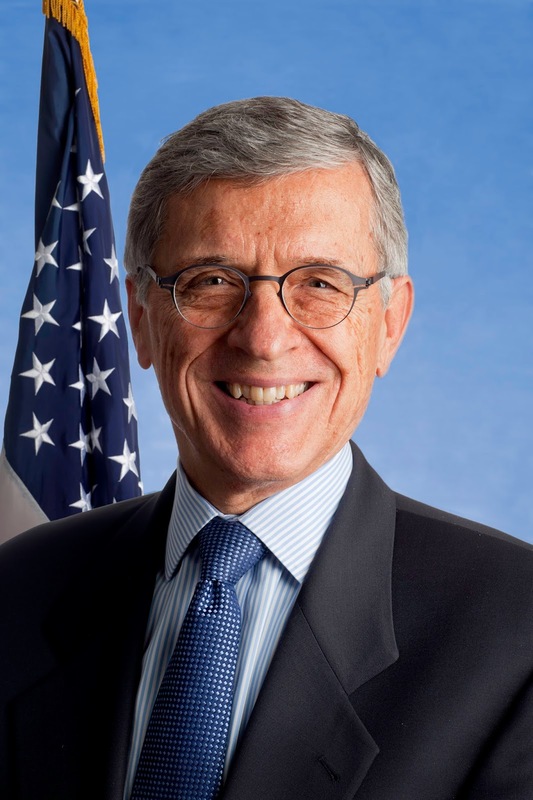 FCC Chairman Tom Wheeler announced his intention in December to resign at the end of President Obama's term in office, allowing President Trump to make two appointments to the 5-member commission, one from each political party, and to designate a new chairman. Both parties must be represented on the commission, with the party controlling the White House having a 3-2 edge in membership. Currently, there are two sitting Republican commissioners – Michael O'Rielly and Ajit Pai – and one Democrat, Mignon Clyburn. Democratic commissioner Jessica Rosenworcel's term expired in 2016 and a vote to confirm her for another term was not taken before the Senate adjourned. FCC Special Counsel Laura Smith, who is in charge of enforcement activities for the amateur service, says recent cutbacks in the Commission's Enforcement Bureau will not compromise amateur enforcement. According to the ARRL Letter, Smith told a forum at the Pacificon convention in October that the FCC is already more aggressively policing the ham bands and that she does not anticipate any significant reduction in amateur enforcement after the realignment of the Enforcement Bureau takes effect. She said that a closer working relationship with the ARRL's Official Observer (OO) program will help fill any gaps in staff enforcement efforts. Smith also noted that she is working with the League to completely revamp the OO program to help make Official Observers, according to the Lettter, "the first line of defense in amateur radio enforcement." The FCC has affirmed the Enforcement Bureau's proposed $23,000 fine against Daniel Delise of Astoria, New York, for transmitting on amateur frequencies without a license and transmitting a false officer-in-distress call on a New York City Police Department radio frequency. Joe Walsh, WB6ACU, and fellow Eagles band members Don Henley and Timothy B. Schmit were among seven notable artists receiving Kennedy Center Honors recognition in 2016 for their lifetime contributions American culture. 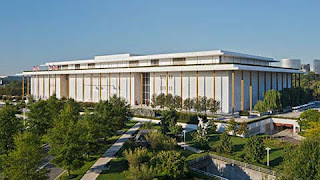 The awards are the nation's highest level of recognition for artists, musicians and actors. Sharing the spotlight with the Eagles at the Washington, DC, ceremony were singer/songwriter James Taylor, singer Martha Staples of the Staples Sisters, actor Al Pacino and pianist Martha Argerich. The ceremony was telecast on CBS on December 27. Ham radio emergency communications groups in widely scattered locations were called into action in December. Amateur Radio Emergency Service (ARES) volunteers in Tennessee provided communications for American Red Cross shelters in the wake of evacuations resulting from the wildfires that ravaged the Great Smoky Mountains and popular resort areas, according to the ARRL Letter. part of a November communicatoins drill. On the other side of the country, nearly four dozen hams took part in an interoperability drill sponsored by Region X of the Federal Emergency Management Agency (FEMA), which covers the states of Washington, Oregon, Idaho and Alaska. FEMA's regional emergency communications coordinator, Laura Goudreau, KG7BQR (right), told the ARRL the exercise was "very successful" and that similar drills would be conducted in 2017. On the other side of the Pacific, hams in Indonesia provided emergency communications following a magnitude 6.5 earthquake there on December 7; and the Philippine Amateur Radio Association's HERO (Ham Emergency Radio Operations) group conducted emergency nets before, during and after a Christmas Day typhoon battered the island nation, making landfall seven separate times. A spokesman told ARRL that several government agencies monitored the HERO net and occasionally joined in, seeking information. Class A amateurs in Germany now have access to the 60-meter band. A rule that took effect on December 21 opened up the frequency range from 5351.5-5366.5 kHz for amateur use on a secondary basis, according to the Deutscher Amateur Radio Club (DARC). Hams are limited to a maximum signal bandwidth of 2.7 kHz (the bandwidth of an SSB voice signal) and a top power level of 15 watts effective isotropic radiated power (EIRP). Hams in the US continue to be restricted to five discrete channels on the band. bands (although without the level of interference caused by the Russian "woodpecker" a few decades back), the International Amateur Radio Union (IARU) that a Chinese over-the-horizon radar system is now transmitting on 6.999 MHz, with a 10-kHz-wide signal that sometimes covers up the very low end of the 40-meter amateur band. The ARRL Letter also reports on 40-meter QRM from military stations in Kyrgyzstan and Radio Eritrea (as well as a jamming signal from Ethiopia). 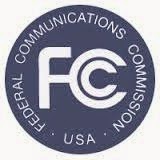 The FCC has turned down a request from Expert Linears America, LLC, for a waiver from Part 97's current rule that sets maximum gain for an HF linear amplifier in the ham radio HF bands to 15 dB. The company sought the waiver in order to be able to sell an unmodified version of its Model 1.3K FA amp in the U.S. while the FCC was considering its petition for rule making requesting elimination of that limit. That proceeding is still pending. Most of the comments on the waiver request supported it but the Commission was persuaded by comments in opposition from FlexRadio, contending that a waiver limited to one specific company and one specific product would give that company an unfair advantage in the marketplace. The Commission concluded that granting the waiver while it was still considering the rulemaking request "would prejudice the rulemaking proceeding" and "would provide an unfair market advantage for one equipment model over other manufacturers' RF power amplifiers that would still be limited" by the current rule. It said the public interest is best served by letting the FCC give "full consideration" to the pending rulemaking and "applying the result of the rulemaking proceeding to all Amateur Radio Service equipment." The ARRL says it has exceeded its goal for the National Parks on the Air (NPOTA) program, a year-long special activity in 2016 to help celebrate the centennial of the National Park System. According to the ARRL Letter, "activators" operating ham stations from national parks, monuments and historic sites around the US surpassed the one-million-contact mark in mid-December. Program administrator Sean Kutzko, KX9X, called NPOTA "one of the most popular events in the history of the League." The program ends today, December 31. A Chinese-built amateur satellite carrying an FM transponder was launched on December 28, but the ARRL reports it entered a lower, more elliptical, orbit than planned, which will result in a very short orbital lifespan. 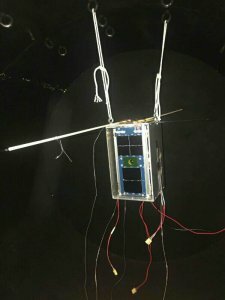 The BY70-1 cubesat was launched from the Taiyuan Space Launch Center in China, intended for a 530-kilometer (330-mile) high sun-synchronous circular orbit, but apparently settled into a 524 by 212-kilometer orbit, which reportedly will limit its time in orbit to just one or two months. If you want a chance to operate this bird while you can, its uplink is on 145.920 MHz and its downlink is on 436.200. Paul Stoetzer, N8HM, who made one of the first QSOs on the satellite, told ARRL the uplink frequency must be set precisely and there is a delay on the downlink, but he reports that the signal is strong. At this writing, the satellite had not yet been issued an OSCAR number. Three more satellites carrying amateur radio transponders are scheduled for launch in the first few months of 2017. The AMSAT News Service reports that Turkey's UBAKUSAT was scheduled to be delivered to the International Space Station in early December for future deployment. It carries a Mode V/U inverting linear transponder, a CW beacon and a digital telemetry downlink. All transmissions will be on 70 centimeters, with uplink on 2 meters. Two additional Chinese ham satellites are planned a joint launch at the end of March. 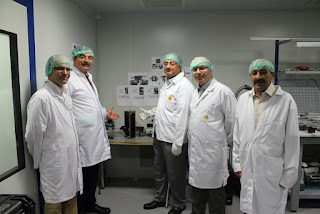 CAS-4A and -4B will carry optical remote sensing experiments and will have Mode U/V linear transponders (uplink on 70 centimeters and downlink on 2 meters) as well as digital telemetry downlinks and CW beacons. AMSAT-NA's Fox-1B, -1C and -1D are all expected to launch in the second quarter of the year. Each of these will carry a Mode U/V FM transponder. AMSAT-DL's Phase 4A geostationary satellite has a planned launch date in the year's third quarter. This would be the first geostationary amateur satellite. Former AMSAT-NA President Robin Haighton, VE3FRH, became a Silent Key in early December, a few days after suffering a major stroke. According to the AMSAT News Service, Haighton was a founding member of the Amateur Radio on the International Space Station (ARISS) project and served the North American amateur satellite community for many years as a board member, Executive Vice President and President of AMSAT-NA. ANS also reports that British ham David Honess, M6DNT, recently received the Sir Arthur Clarke Award from the Arthur C. Clarke Foundation and the British Interplanetary Society. Honess was recognized for his work on the Astro Pi project as part of the Principia mission of British astronaut Tim Peake, GB1SS. 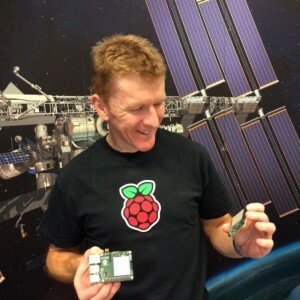 The Astro Pi project resulted in the installation of two Raspberry Pi computers aboard the International Space Station as a platform for students back on Earth to write and run their own computer code in space. Finally, ANS reports that Robert Brand, VK2URB, is working on a wide-area radio network planned for eventual deployment on Mars. The project is part of a methane detection system scheduled to land on the red planet in 2025. The MEDIAN system will consist of 10 "penetrators" that will be ejected from the Mars Nano-Lander's heat shield once it has been jettisoned from the lander about 6 kilometers above the planet's surface. The penetrators are planned to spear into the ground and form a ring about 8 kilometers in diameter. They are designed to measure wind speed and direction and detect the presence of any methane in the Martian atmosphere, then send the data by radio to an orbiting spacecraft. Some scientists believe the presence of methane gas may indicate the possibility of microbial life on Mars. Brand is planning to test the system on a salt lake in Australia early next year, with amateur radio playing a significant role. A trio of special event stations was on the air in December to help commemorate different pieces of radio history. On December 11, N1BCG in Greenwich, Connecticut made contact on 20 meters in both CW and SSB with GB2ZE in Ardrossan, Scotland, re-enacting the first successful transatlantic reception of an amateur radio signal on December 11, 1921. Paul Godley, 2ZE, listening in Scotland, clearly heard signals from 1BCG, Minton Cronkhite in Connecticut, on roughly 230 meters (1300 kHz), according to the ARRL Letter. The Radio Club of America (RCA) - which coordinated the 1921 test - teamed up with the ARRL for the U.S. end of the 2016 re-enactment, while the Radio Society of Great Britain (RSGB) ran the Scottish end of the link. 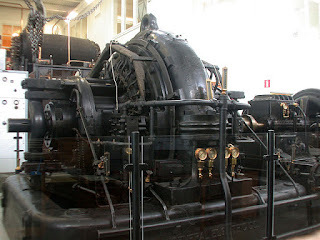 The 1921 tests helped prove the value of short waves for long-distance communication. On the longwave side of the ledger, historic Swedish coast station SAQ returned to the air on Christmas Eve, transmitting a message on 17.2 kHz. The 200-kilowatt Alexanderson alternator (see photo) is activated each year by the Alexander Association. Special event station SK6SAQ was also on the air on 40 and 20 meters. Also on Christmas Eve, Brian Justin, WA1ZMS, of Forest, Virginia, put his experimental 630-meter station WI2XLQ on the air on 486 kHz to mark the 110th anniversary of the first wireless voice and music broadcast by Reginald Fessenden in 1906. According to the ARRL, Fessenden reportedly played violin music and read a brief Bible verse. stand in front of the CQ booth in the main arena. Arena were auctioned off in late November by the owners of the former home of the Dayton Hamvention®. According to the Dayton Daily News, an online auction "showcasing the eclectic assortment of Hara items and memorabilia was held between November 24 and 27 for fans of the concerts, sporting events and ham radio conventions that filled the facility for six decades. Hara Arena closed in August after a 20-year family feud that began with the 1996 passing of co-founder Harold Wampler resulted in legal battles that consumed resources needed for renovations and reorganization, according to the news report. Marketing Director Karen Wampler said the auction came in response to hundreds of requests for keepsakes from the arena and reception hall. The 2017 Dayton Hamvention® will be held at the Greene County Fairgrounds in nearby Xenia, Ohio. CQ Kit-Building Editor Joe Eisenberg, K0NEB, has put together a video farewell to Hara which is posted on YouTube at <http://bit.ly/2fp6GDp>. The Dayton Hamvention awards committee is accepting nominations between now and February 1 for the 2017 Hamvention awards. These include Technical Achievement, Special Achievement, Amateur of the Year and Club of the Year. Details on each award as well as links to official nominating forms may be found on the Hamvention website at <http://bit.ly/2gPTJb3>.